Face Image Preprocessing: Image preprocessing for faces is based on face detection results, processing the images and ultimately serving the feature extraction process. The original image acquired by the system is often not directly used due to various conditions and random interference. It must be pre-processed with grayscale correction and noise filtering in the early stage of image processing. For face images, the preprocessing process mainly includes light compensation, gradation transformation, histogram equalization, normalization, geometric correction, filtering and sharpening of face images. Face image feature extraction: The features that can be used by the face recognition system are generally divided into visual features, pixel statistical features, face image transform coefficient features, face image algebra features, etc,. Face feature extraction is performed on certain features of the face. Face feature extraction, also known as face representation, is a process of modeling a face. The methods of face feature extraction are summarized into two categories: one is based on knowledge representation methods; the other is based on algebraic features or statistical learning. 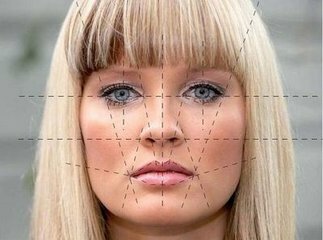 The knowledge-based representation method mainly obtains the feature data which is helpful for face classification according to the shape description of the face organs and the distance characteristics between them. The human face is composed of parts such as eyes, nose, mouth, chin, etc. The geometric description of these parts and the structural relationship between them can be used as an important feature for recognizing human faces. These features are called geometric features. Knowledge-based face representation mainly includes geometric feature-based methods and template matching methods.